The symbol of Star has a special significance in the celebration of Christmas. The Christmas star symbolizes the birth of Jesus, whom most Christians also refer to as ‘the bright and morning star’. It also symbolizes the holy star that appeared quite miraculously in the eastern sky the day Jesus Christ was born. Christians believe that when the magi, also called the three wise men from the East, set out to find the newborn king, this star showed them the way. They also believe that a miracle had occurred at the time of His birth. Hence, Christmas stars decoration has become an important part of the traditional Christmas celebrations in houses and churches alike. The star stands for high hopes and ideals, a hope for a good fortune and to reach above oneself. The brightness of the stars is associated with the light of Christ, which shines even in the darkness. It is the light, which guides and shows us the right path to travel in life. Hence, a majority of Christmas decorations include bright glittering stars as lanterns, tree toppers, candles, or lights. However, there are many other ways to include stars in your Christmas decorations. We have gathered some really charming and interesting Christmas stars decoration ideas. These ideas will surely help you find a new and innovative way to include the Christmas stars in your decoration. Decorating the Christmas tree with stars is a long-standing tradition. The star is mostly used as a tree topper and symbolizes the ‘Star of Bethlehem’ that guided the three wise men to the place where Jesus was born. But you can also use stars as tree ornaments. This beautiful tree decorated with large shiny white stars is the perfect example of the use of stars for tree decoration. This stunning wreath decorated with stars is the perfect welcome to the wintry Christmas holidays! All you need is a grapevine wreath, red and white berry branches, and ornamental stars. Firstly, wrap the white and red beery branches around the grapevine wreath. Now, add the stars to the wreath at random places as you like. And that’s it! Your winter wreath is Ready to go up on Your Front Door and Welcome the Winter! Red is a very vibrant and festive color. These dark red decorations give the whole room a comfortable but festive vibe. Red table settings and red ornaments mantel decoration add nicely to the red colors of the walls. But it’s the beautiful large hanging stars and snowflakes that bring in the festive spirit. The hanging star lanterns also bring a traditional touch to the simple decorations. This beautiful gold mirrored star tree topper from Pottery Barn looks so elegant and beautiful! The star is used as a tree topper since old times. It is one of the oldest traditions in Christmas decorations. This golden star topper adds style and beauty to a long-standing Christmas tradition. It also brings a festive touch to the decorations and sets the mood for Christmas celebrations. This simple window decoration looks as elegant as it looks festive. Paper star Ornaments Bring in a Traditional Touch to the Decorations. The colorful and patterned stars also bring in an element of fun and festivities to the rest of the room. The little bits of greenery add a fresh and natural touch to the decoration. This farmhouse style Christmas stars decoration has a rather rustic charm to it! A wooden board forms the base of the decor. A large black star is attached to it. Some red berry branches tied together with a plaid ribbon are also attached to the wooden board. This small Christmas star decoration at the entryway is a great way to welcome guests and bring in the festive spirit of Christmas! Tiny little glittering stars decorated in a clear glass bowl make for a great Christmas centerpiece. Just take a look at these cute little stars in the glass bowl. Don’t they look festive and dazzling! All you need to get this look is to get yourself some glittering star ornaments. Fill up a clear glass bowl with these ornaments and see them lift the mood of the entire room! These rustic wooden stars garland looks beautiful as mantel decoration. These five petal wooden stars along with the greenery and pinecones make for a rustic garland for Christmas Mantel Decorations. They also bring an earthy and natural appeal to the decoration. This driftwood wall tree with stars decoration is perfect for an alternative Christmas tree. you can decorate it as you wish and add as many or as fewer stars as you want. Hanging it on a wall saves a lot of space. It also makes the shape of the tree more pronounced. Add in a few candles to get that rustic and traditional look. This trio of star stake lights is a stunning addition to lawns and pathways alike throughout the festive period. Decorating the gardens and lawns with decorative stakes has become a popular trend in Christmas decorations. The warm golden glow of these stake lights brings a Festive Touch to the Gardens and Outdoors. Tired of the same old decorations year after year? why not do things differently this year? Instead of going for a regular star tree topper, you can opt for this stunning real starfish tree topper. It looks amazing and gives your decorations a natural look. Especially if you decide to go for a coastal or beach style tree decoration. This unusual starfish tree topper works great for taking an old holiday tradition and shaking it up a bit! This beautiful wreath chandelier looks very pretty as it is hanging from the ceiling on white ribbons. However, the small white Christmas stars decoration on the wreath makes it look even more elegant and pretty. This wreath looks very modern and chic but at the same time, the wreath and stars decor brings a traditional touch to the room. This Christmas stars Decoration with Christmas Signs, white berries, and string lights has a rustic country charm to it. You can buy this kind of barnstar decor from the market or online. If you’re feeling too creative, you can even make it on your own. Just take a long wooden pole with a stand and attach a barnstar to its top. Wrap the white berry branches around the pole. Now, add in the string lights too. You can add the plaques of Christmas signs to the pole if you want. Just, plug in the lights and see the star glow! This rustic Christmas centerpiece is a great way to include the traditional stars in modern Christmas decoration ideas. Another interesting point to note in this decor is the use of normal day to day objects and turn them into Christmas ornaments. For example, the paper bags as holders for the greenery, soft drink bottles painted white and used as candle holders and cupcake liners as small candle holders. Also noteworthy is how the color theme of brown and white is maintained in the entire decoration. The evergreens provide a burst of color and freshness to the earthy decoration. Decorating the dried branches with stars bring in a traditional touch to the modern decor. This simple banister decoration is another very innovative idea for Christmas stars decoration. All you need is some string lights to wrap around the banister, white ribbons to tie the wreaths to the lights, and star-shaped green wreaths. You can buy the star shape wreath base from the market or online. Just warp it with evergreens to get these fresh and natural looking star wreaths. Tie a ribbon on top of the wreaths and hang them on the banister on the lights. They look very pretty, natural, and traditional. These star-shaped hanging lanterns are a great addition to any Christmas decorations. They look very pretty, elegant, and traditional. These star lanterns are also easily available in online stores like My Abode or in the market. The clear glass and 3d design adds an artistic touch to these lanterns and makes suitable for any type of decoration, whether elaborate or minimalistic. The Scandinavian style is all about minimal decor with maximum effect. Hence, it is rarely very elaborate or flashy. However, this does not mean that Scandinavian decor is any less festive or vibrant. This beautiful Scandinavian Christmas decor is a fine example of that! the candles centerpiece looks very elegant and festive. The silver and gold ornaments give the table a merry appeal. However, it is the star-shaped paper lanterns hanging above the table that steal the show! They look so shiny and festive that they uplift the mood of the entire room. They also bring a warm glow and a traditional touch to the decorations. This fresh and natural star-shaped wreath is something all minimalists will appreciate. It has a rustic farmhouse charm to it. This wreath makes for a great Christmas project and is very inexpensive and pretty. It is also pretty easy to make. All you need is some long twigs to make the star shape, pine leaves or branches, and green wire. Firstly, tie up the twigs in a star shape. Now, put the greenery on it. Then, secure it to the twigs with the help of green wire so that the star shape appears. This Beautiful Wreath Gives your Christmas Decoration a Fresh and Natural Look. This large hanging star lanterns look pretty and also very festive. They bring in the holiday spirit and fun into any decoration. In Christmas decor, the brightness of the stars is associated with the light of Christ, which guides and shows us the right path to travel in life. Hence, these star-shaped lanterns also fulfill a long-standing tradition while being relatively modern in design and style. This beautiful Christmas display is made entirely out of driftwood. The driftwood mini Christmas trees, the Nativity scene, candles with driftwood holders, and other driftwood decoration looks festive and makes for a perfect Christmas setting. The driftwood wreaths and stars hanging on the wall further add to the festive and traditional atmosphere. This star-shaped tree ornament made out of jingle bells looks very pretty and elegant on the Christmas tree. It is pretty easy to make but requires some patience and finesse. You will need a small star-shaped wreath form. Now you can simply attach the bells to it with strings or glue them in place. Make sure the star form is properly visible. Now tie a string to its top and use it as your tree decoration. It looks wonderful on the tree and also has a soothing sound. The bright light of a shining star is associated with the light of Christ. Hence, these star lights make for a great Christmas decoration idea. These star lights of different shapes and sizes add a festive and traditional touch to the decoration. They also bring a warm glow to the room and bring visual interest to the decoration. This alternative wall tree made from star ornaments is a great and very creative idea. This beautiful decoration is just perfect if you’re a fan of minimalism or don’t have enough space to have a Christmas tree. It is also a great way to start a DIY Christmas project with your family and kids. The wooden stars on a white background also bring a traditional touch to the decoration. These pre-lit Christmas stars certainly make for a perfect outdoor decoration. Lighted stars of varying sizes made out of string lights tied together, add a festive touch to the outdoors. Star-shaped pre-lit stakes brighten up the gardens. The small stars decorating the roof further add to the festive look of the house. These outdoor star lights certainly make for an interesting and innovative Christmas stars decoration. The beautiful star hanging on the tree with a tail of light looks like a moving star leaving a trail of light in its wake. It reminds us of the tale of the bright star that showed up on Christmas day. Legends state that the star guided the three wise men to the place where Christ was born. Even without the reminiscence, this star decoration looks immensely festive and lights up the cold winter night with its warm glow! Next article30 Short Bob Haircuts – Flaunt Your Short Hair, Surprise Everyone! My name is Harsha Pania. I am an editor and blogger at Superhitideas who previously worked as an HTML Developer in an IT firm. I enjoy writing about things that inspire me and make me wonder. I love channeling my creativity to write quality content that helps provide a better understanding of the topics to the readers. An editor and writer by day and a reader by night, I am an avid fan of Mysteries and Thrillers but enjoy reading books of most genres. 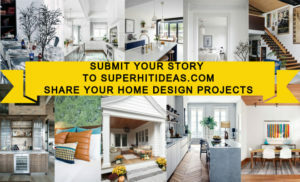 SuperHit Ideas is ultimate collection of Hairstyle Inspiration, Travel Guide, Tattoos Collection, Halloween Makeup and Decoration, Home Decor or Interior and Exterior Design Ideas including Kitchens, Bathrooms, Bedroom, Livingroom, Diningroom Decoration and more.